Domain Name Servers are large databases that track and store what IP belongs to each domain When you type a web address “www.imfeelingfabulous.com “ into a browser. Your computer sends those instructions to your router, and your router passes the message to your internet provider to go find “www.imfeelingfabulous.com”. The message sent to your provider ‘s DNS cache which then looks up the IP address connected to that domain and directs you there to get the recent updates. Ok so that’s great but really why should I care, you ask. The reason is not all DNS servers are the same, and typically the default DNS provided by your ISP is lacking in speed and features. The two most popular DNS that people use are Google and OpenDNS. Google is great for speed and reliability. OpenDNS has excellent rates and also has prebuilt filters that filter out malicious sites. What that means is if you accidentally click on an email linked to a known phishing site OpenDNS will block that site keeping you a whole lot safer. OpenDNS also comes with family filters which work great for preventing kids from accessing inappropriate content. More recently there is a new DNS provided by IBM, Packet Clearing House and Global Cyber Alliance called Quad9. It combines information collected from over 18 Threat Intelligence Providers. Here is a quote from there website explaining how it works. 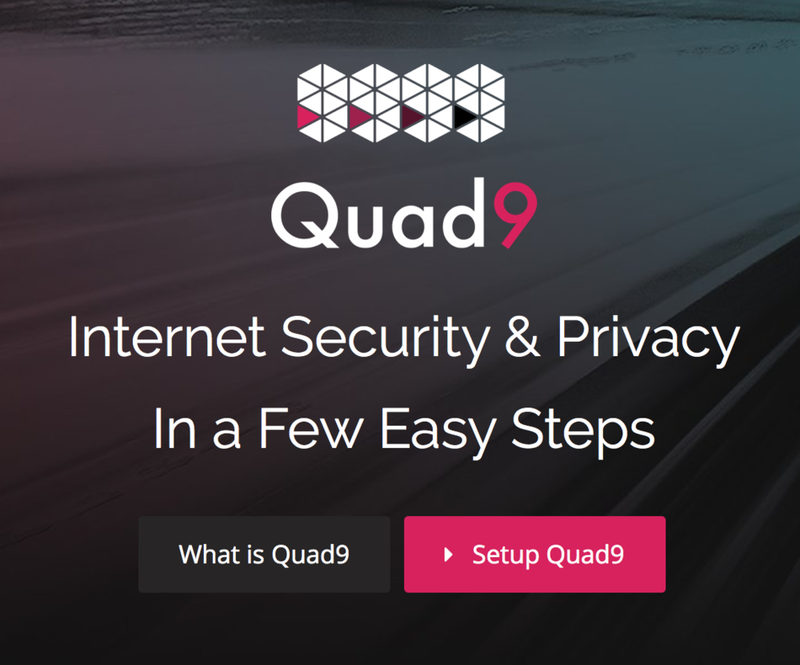 Quad9 routes your DNS queries through a secure network of servers around the globe. The system uses threat intelligence from more than a dozen of the industry’s leading cyber security companies to give a real-time perspective on what websites are safe and what sites are known to include malware or other threats. If the system detects that the location you want to reach is known to be malicious, you’ll automatically be blocked from entry – keeping your data and computer safe. Changing your DNS can be done on your devices or at the router level. You can find the instructions with these links. Google , OpenDNS, and Quad9. Swapping your DNS is a great way to increase your online privacy. If you would like to do more to protect yourself, please check out our articles on Password Management and Two Factor Authentication. Prefer to have us handle things, we offer a 1 hour Online Security Package for Whistler, Squamish, and Pemberton that takes care of your DNS, Password Management and Two-factor Authentication for five devices for $95. To book an Online Security Package or a computer repair session , click the link below.